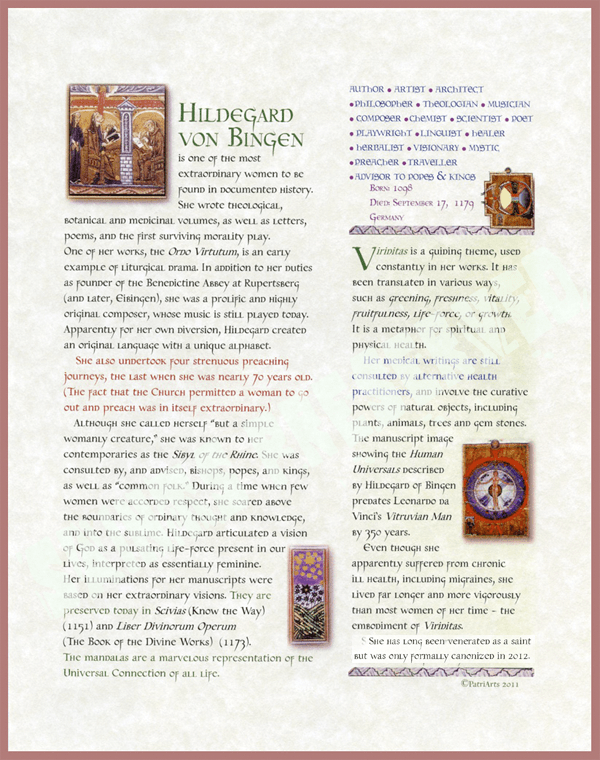 Blessed Hildegard von Bingen was a “Pre-Renaissance Woman” of the early 12th Century who wrote theo­log­ical, botan­ical and medi­c­inal volumes (including the use of herbs and gemstones), as well as letters, poems, and the first surviving morality play, while super­vising bril­liant illu­mi­nated manu­scripts. One of her works, the Ordo Virtutum, is an early example of litur­gical drama. In addi­tion to her duties as Abbess of Rupertsberg, she was a prolific and highly orig­inal composer, whose music is still played today. Although she called herself “but a simple womanly crea­ture,” she was known to her contem­po­raries as the Sibyl of the Rhine. 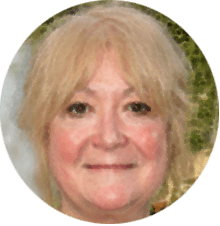 As if these achieve­ments were not outstanding enough, she soared above the bound­aries of ordi­nary thought and knowl­edge, and into the sublime. 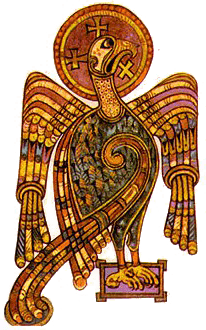 Hildegard artic­u­lated a vision of God as a pulsating life-force present in our lives, inter­preted as essen­tially femi­nine. 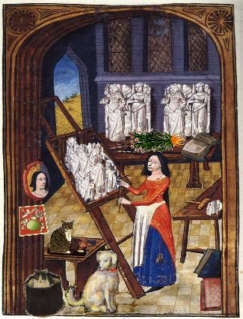 Viriditas is a guiding theme, used constantly in her works. It has been trans­lated in various ways, such as fresh­ness, vitality, fertility, fecun­dity, fruit­ful­ness, verdure, or growth. 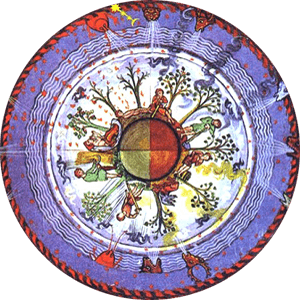 In Hildegard’s under­standing, it is a metaphor for spir­i­tual and phys­ical health, which is visible in the divine word. There is an abun­dance of liter­a­ture written about Hildegard, ranging from schol­arly to sublime; hagio­graph­ical to meta­phys­ical; crit­ical to spiritual...she has inspired creative works in nearly all disci­plines. I’ll be making a few personal recom­men­da­tions throughout the garden, and encourage visi­tors to make their own. Our Hildegard biograph­ical “illu­mi­nated manu­script” is avail­able from PatriArts Gallery.